If you read something you dislike or disagree with just scroll past and dont let it impact your day. No soliciting members or advertising your own groups, either on the boards or via PM. Your account will be deleted without notification if you contravene this rule. Visiting and not posting is not considered activity, you must post to remain active. Only posting in the chatbox is not considered activity. you will not be accepted a 4th time. but DO NOT 'tag' the member to do so. We welcome snaggers but please note the activity rule above. 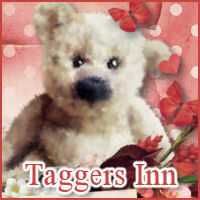 Taggers - Must make your own tags, Please do not use pre-mades and add names. We do not use the forumotion 'host an image' feature. Do not ask to have it turned on, the answer is no. Images per post - Please only post 3 full sized images per post. If you are posting more than 3 please use linkable thumbnails or a text link to an offsite host. Members are not permitted to delete or archive posts ever, so please do not ask. This forum runs on UK time. Do not copy or steal anything from the group. Please remember that we are all individuals from all over the globe. We have all been raised with different morals, religions, opinions and senses of humour. Not everyone has the same standards you do. If you see something you dont like or disagree with, just pass on by and don't let it impact your day. You just dont know what that person on the other side of the screen is going through in their life. Please remember also that every group is different. we do things our way because they work for us. to gain access to the rest of the fourm.